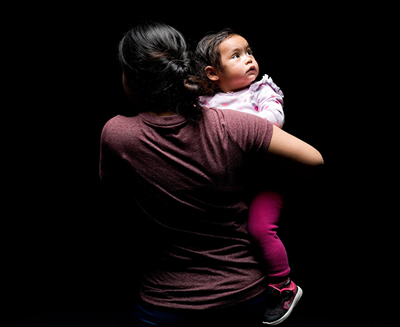 Trump has overseen the work of his subordinates who have forcibly separated thousands of refugee children and infants from their families, imprisoned them in inhumane conditions including on military bases and in the private facilities of military contractors, denied access to these sites sought by members of Congress, and defended these policies with hate-inspiring rhetoric almost certainly resulting in additional violence and cruelty. In doing so he has violated the Universal Declaration of Human Rights to which the United States is party, the Convention on the Rights of the Child to which every other nation on earth is party, the Eighth Amendment to the U.S. Constitution, and the Due Process clause of the Fifth Amendment to the U.S. Constitution. I write as your constituent to insist that you move forward now on impeachment of President Trump for his actions separating children and infants from families, and/or for Trump's numerous other impeachable offenses. This latest abuse violates the 5th and 8th Amendments of the U.S. Constitution, as well as treaties to which the United States is party. Read a draft Article of Impeachment along with numerous other draft articles of impeachment here: http://rootsaction.org/trump-articles-of-impeachment Please be sure to reply and let me know when you will be taking action on this. A time arrives when silence is betrayal and words alone are insufficient.